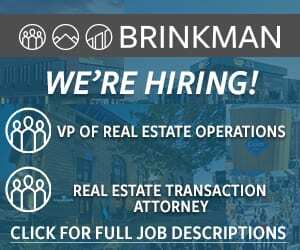 Relocation and expansion activity is occurring regularly within the Denver metro region, with 20 companies making announcements this year, including 13 that are new to the region and seven existing expansions, according to Laura Brandt, economic development director with Metro Denver Economic Development Corp. These companies span across the metro Denver area, with sizable pockets of activity in Aurora, Broomfield and Denver. As of Aug. 22, 57 prospect companies have begun dialogues with Brandt’s office this year, with over 50 percent of those companies interested in office real estate to satisfy office (12 companies), call center (10 companies) or headquarter (seven companies) needs, said Brandt. The rest of the prospect activity is divided among distribution, manufacturing, research and development, data centers and others. Within the office user sector, IT software, business services and financial services are the busiest, but the group includes aerospace, aviation, energy, food and beverage, and health care companies as well. “You’re seeing this very diverse mix of industries throughout the area – so even though we have been concerned about energy pulling back – there have been companies from everything – health care, financial services, various business services, creative industries – that have all been moving in to fill the space,” said Patty Silverstein, president and chief economist with Development Research Partners. One thriving sector is financial services, mainly on the investment side, even as there has been some pull back in typical banking facilities, she said. 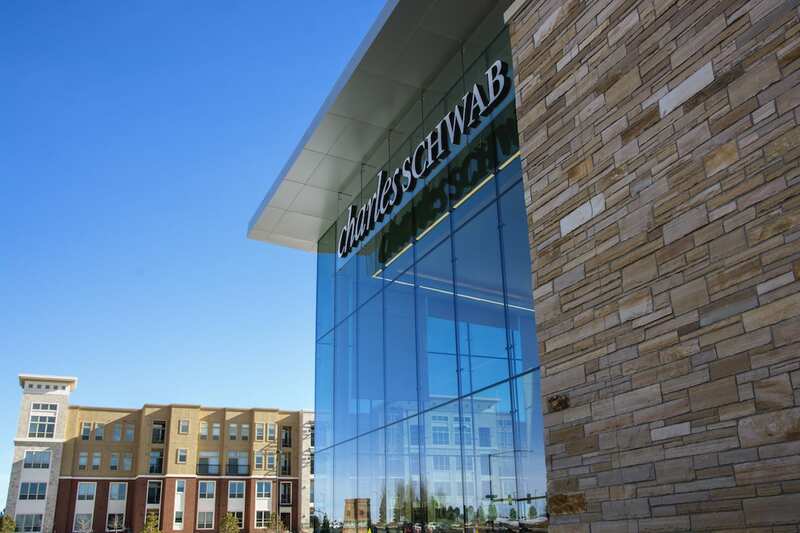 The Charles Schwab Corp. expansion in Lone Tree is one example of this activity. Comcast’s decision to expand with a call center in Fort Collins, on the HP campus, was made after looking at 10 cities in the western part of the country. Fort Collins’ demographics and the state’s favorable incentives as well as the site’s strong central location, access to amenities and overall analytics all contributed to the decision, said Todd Roebken, managing director with JLL, and one of the brokers who negotiated the deal on Comcast’s behalf. The company is bullish on Colorado, largely due to the strong employee base, he said. Another thriving sector is tech, as Denver continues to be recognized nationally as a tech hub. 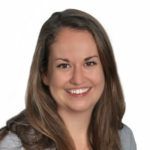 Many tech companies that have headquarters in Silicon Valley, California, or New York are looking to expand to communities that have the necessary talent pool and business networks to allow for successful expansion, said Sam Bailey, senior manager of Global Business Development with Colorado Office of Economic Development & International Trade. Coyote Logistics, out of Chicago, and OnDeck Capital, from New York, exemplify this trend. Right now, the CBRE office is working with about a dozen tech companies headquartered on the West Coast that are planning for a significant presence in downtown Denver. A common theme among all relocating and expanding companies is the pull of a strong workforce. Colorado has the second-highest level of degree attainment, said Laura Blomquist Rodriguez, senior manager of strategy and analytics for the Colorado Office of Economic Development & International Trade. And the Denver area alone has about 79,000 high-tech jobs, according to the CBRE Colorado Tech Book. “Additionally, something that may not be known outside the state is the depth of our networks and the collaboration,” Blomquist Rodriguez said. With hundreds of networking events and a willingness to collaborate, many are finding the business culture desirable. Much of the information companies request today focuses on relationships. For example, a company will request a conversation with other companies that do business here or conversations with the universities or industry associations, Brandt said. Questions surrounding the political environment are common, with businesses wanting to ensure that the state offers fiscal responsibility and stability. A receptive legislature or city council that is progressive in developing business-friendly legislation and examples of bipartisan bills that relate to business operations and economic development are important to many prospects, said Bailey. 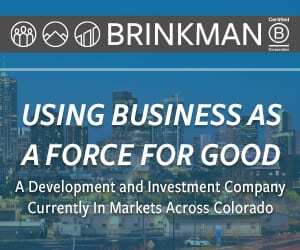 Once a business successfully relocates to Colorado, the state stands to gain momentum by taking advantage of the collaborative ecosystems that may exist outside Colorado. For example, after the state recruited Gusto to Denver, the company’s CEO, Joshua Reeves, spoke about his recruitment to other businesses in his network, which ultimately led to several conversations with perspective clients, Bailey said. Other popular and enticing factors include the state’s transportation systems – from the centrality of highway accessibility to Denver International Airport to Union Station and public transit – and quality of life factors, including the weather and recreational and cultural opportunities. Site tours are no longer limited to the potential commercial spaces. Now they include driving the neighborhoods where employees are going to live, exploring the cultural amenities and getting a feel for the community that the company is looking to grow into, said Bailey. One of Colorado’s most attractive aspects to companies coming from coastal markets also is one of Colorado’s biggest threats to continued relocation prosperity: cost. At this lease rate, we’re still in a competitive space with the communities that we tend to compete with – places like Salt Lake City, Dallas, Phoenix, Austin, Texas, and Portland, Oregon, said Silverstein. By negotiating a deal to locate on HP’s campus, Comcast’s call center became a lot less expensive than building its own, Roebken said. The property now has access to the campus’ amenities and credits the ease of working with HP as another positive of the decision. While renting existing space, theoretically, can keep costs down, the challenge is finding it. 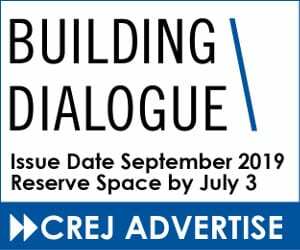 “Some of them get quite impatient when you tell them that, ‘We are sorry but the industrial vacancy rate is three-point-whatever,’ and depending on the neighborhood they are looking for office space in, it’s probably available, but it’s probably a lot more expensive than they were expecting it to be,” said Brandt. In Boulder, we’ve seen this play out to Denver’s benefit. It became expensive for millennials to live in Boulder, so they chose to live in Denver, said Hammerstein. Over time it became harder for companies to recruit employees to Boulder, so businesses started relocating or opening satellite offices in Denver, which also offers the added benefit of the ability to scale. Right now, most of the tech companies located in Boulder are considering relocating or expanding with a Denver presence, he said. For similar reasons, Whole Foods moved its regional office to Denver after locating in Boulder for 10 years. Overall, the office market in Denver is healthy. Although there are some concerns about the little more than 1 million sf of sublease space available, vacancy rates continue to decline as other industries gobble up the space that’s coming back on line from the oil and gas segment. “It’s been a bit of a yin-and-yang, because while we’ve seen this downturn of the energy industry, oil and gas primarily, that’s been a really great opportunity for these companies,” said Hammerstein. Without growth in tech and other industries, Denver would be a very different real estate market. But, as of now, companies are able to take advantage of the opportunity backfilling those vacancies. 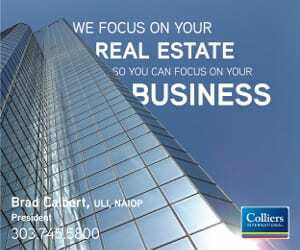 Featured in the September 2016 issue of Office Properties Quarterly.